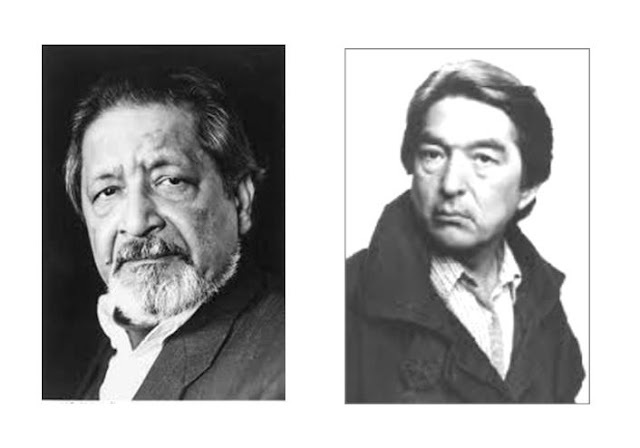 V.S Naipaul is a celebrated Trinidadian Indian, but those big jowls and heavy eyelids remind me a bit of old Kicking Bird (Graham Greene), a fictional American Indian. "Tatonka." 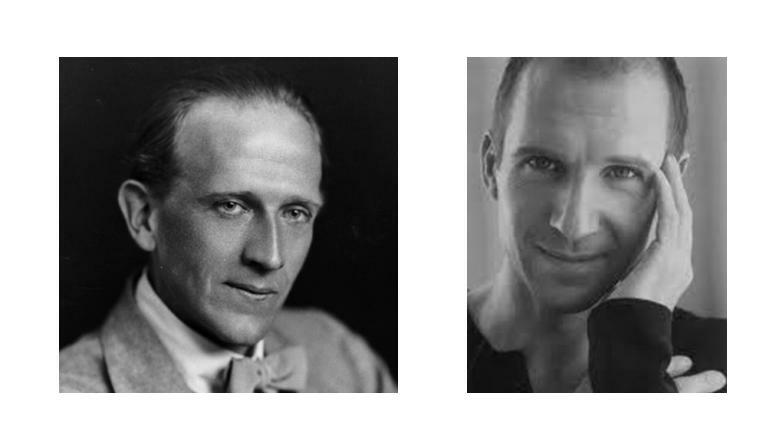 Here’s beloved chilldren’s author A.A. Milne and Ralph Fiennes. One gave us Winnie the Pooh, the other gave us Lord Voldemort. With his low-set, bushy eyebrows and big ears, J.R.R. Tolkien isn’t a bad match for the Lloyd Bridges of “Hot Shots Part Deux” vintage. 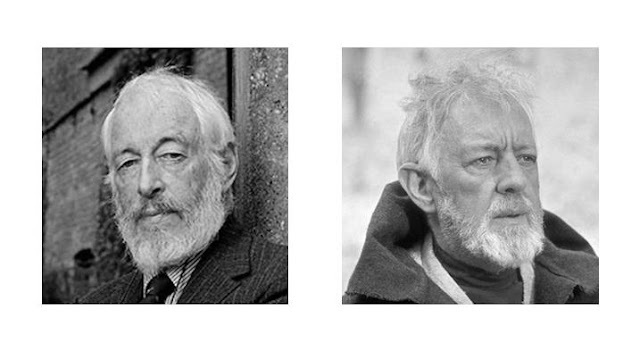 And J.P. Donleavy’s earnest gaze seems to say, “These aren’t the droids you’re looking for,” doesn’t it? Dead ringer for Alec Guiness. 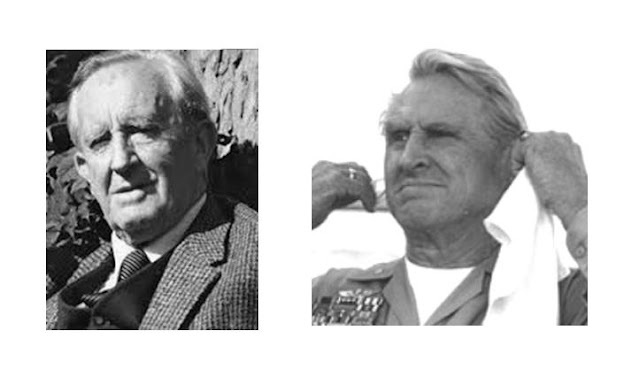 It took me a long time to think of who T.S. 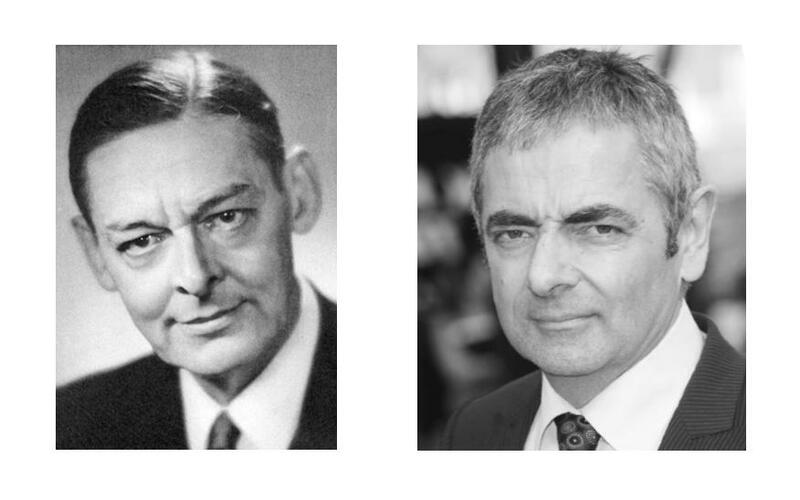 Eliot reminded me of, but take a look at this side-by-side and tell me you’re not concocting theories about Rowan Atkinson being his love child.